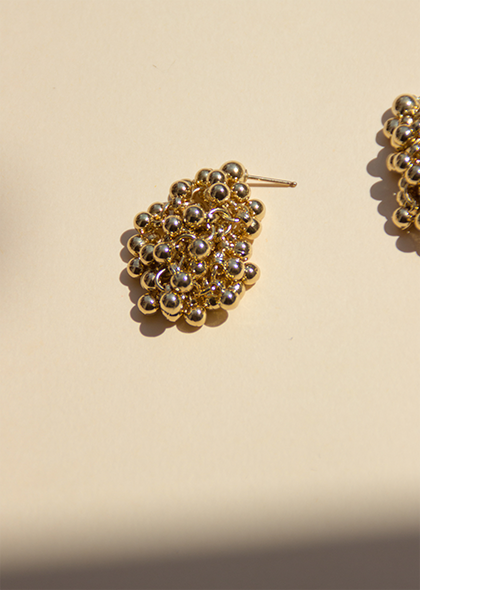 Lightweight drop earrings with lots of tiny ball charms hanging their own way. 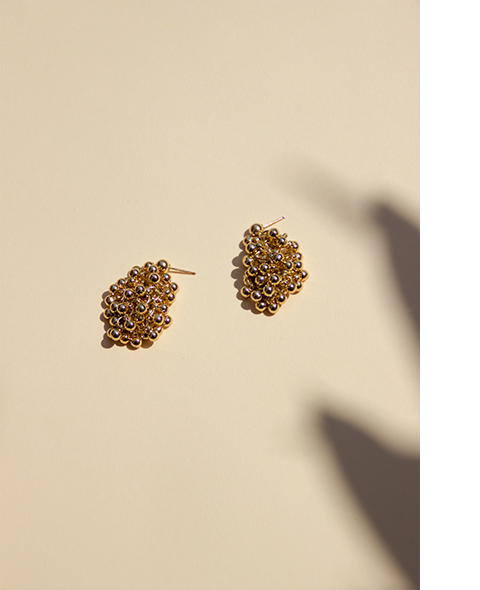 The charms are made of brass and the ear studs are 14k gold-filled*. *A solid layer of gold (at least 5% of the item’s total weight) mechanically bonded. Because of this particular process gold-filled items are long lasting and will not tarnish by normal use. For care instructions please see sharing & caring.